The IT Infrastructure Library (ITIL) is a set of comprehensive practices that ensures to deliver commending IT services. ITIL has been through multiple revisions and is now comprised of five books - each book covers and focuses on a specific set of process and stage on the lifecycle of IT services. ITIL is the most welcomed approach to IT service management worldwide. The organized and structured approach of ITIL delivers efficient IT Service Management to enable businesses, manage risks, initiate affordable practices, raise a secure IT environment and boost customer relations to therefore enhance scalable business growth. ITIL was first developed by the Central Computer and Telecommunications Agency of the British Government during the 1980s while it is then first comprised of more than 30 books, that included best practices in IT gathered from various reliable sources from and around the world. How can ITIL Improve Enterprise Performance? Establishing strong customer relations by providing services that best meet the business needs. Delivering a stable infrastructure that would help businesses with scalability, growth, and change. It starts with the purchase of the ITIL either as a PDF, or a hardcopy or through online subscription. Then there is a cost of training which varies every year. The course leading to Initial Foundation Certificate ideally takes place for two days while the duration of the courses that leads to higher level certifications can be for a week or for more than a week. There are some other unavoidable costs that come along while re-purposing the processes to fall compliant with the ITIL guidelines. The output of each of the above-mentioned processes is considered to be the input of the following process. The ITIL framework helps enterprises to integrate service and business strategies, oversee examine and enhance performance, and to bring down the cost as well. This process involves in developing service concepts and also in enabling the service selection to be provided. The service portfolio management provides a systematic approach to identify, evaluate, explain and select the process. This process deals to comprehend and regulate the requirement of the customer. User Profiles, to categorize various groups of users for a required service. Patterns of Business Activity helps to identify how the users of various user profiles use a service in a given time frame. This deals to check if the user requests are full-filled if the service failures are addressed and resolved in time, and also to check if the day to day operational skills are done efficiently. 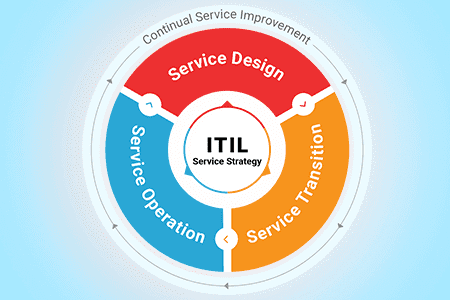 This phase of the ITIL service lifecycle deals with the design of services. People, Processes, Products and Partners are the four 'P's' of Service Design' that should be ideally considered while designing a service. Service Catalog Management - Service Catalog has the list of services that are available to users and customers. The service catalog is made accessible to the customers. It is most often functions as an entry point for all the information services in the live environment. 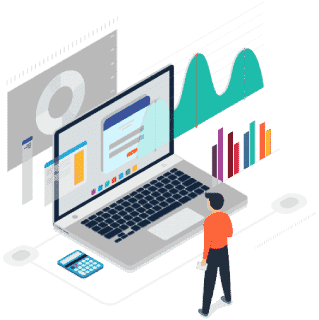 Service Catalog Management helps to control and manage the service catalog that holds all the data about the services that are available to the customers currently. Service Level Management - This is a process that deals with managing the service level agreements between the service providers and the customers corresponding to the levels of reliability and performance that related to particular services. Operational Level Agreements - These are the performance agreements that are almost similar to SLAs. Availability Management - This process focuses on the management of availability requirements that are mentioned in the Service Level Agreements. The availability is defined as the configuration or any other service to be performed when required. Capacity Management - This process deals with the level of capacity that is readily available to meet the business requirements as mentioned in the Service Level Agreements. Service Continuity Management - This is a process that oversees if the IT Service Provider ensures to deliver the services agreed-upon during the Service level agreement. This ensures to provide a consistent and complete Business Continuity Plan. IT Security Management - This process deals with the protection of the information and the IT assets involved. This is performed by ensuring confidentiality, availability, authenticity, and integrity of the information assets. Service Transition - This process deals to build and implement IT services. It also ensures to check if the changes made to services are performed in an organized and defined way. Change Management - This aims to monitor and control the lifecycle of all the changes made. Change Evaluation - This aims to examine the prominent changes that are made recently prior even before the changes that are allowed to proceed to the next stage of the lifecycle. Project Management - The objective of this process is to plan and organize the deployment of resources to implement a release within the pre-planned cost and quality. Application Development - This ensures to make the applications available to deliver the required IT services. Release and Deployment Management - The main aim of the process is to organize, schedule and oversee the movement of releases to test and live environments. Service Validation and Testing - This process is to check and validate if the services of the deployed releases meet the customer demands and also ensures to check if the IT operations qualify to deliver support to the upcoming new service. Service Asset and Configuration Management - The objective is to keep the information of configuration items that qualify to deliver the required or expected IT service. Knowledge Management - This process assures to collect, examine, archive and exchange information and knowledge within the organization. Event Management - This process monitors the services constantly and categorizes the events to decide on suitable actions. Incident Management - This process aims to manage the complete lifecycle of the incidents. Access Management - This process deals to provide authorization to the specific users to access the service and prevent the unauthorized users to access the services. The access management process implements a certain set of policies framed by the Information Security Management. Problem Management - The aim of this process is to manage and oversee the complete lifecycle of all the associated problems. It helps to deny incidents from happening or to an extent minimize the influence of incidents that cannot be prevented. Facilities Management - It ensures to deal in managing and monitoring the physical environment of the IT infrastructure. Application Management - This involves controlling and monitoring the applications throughout the complete lifecycle. This phase of the lifecycle aims to implement techniques from quality mangement to understand from the failures and successes that have happened in the past. It also delivers processes for the IT organizations to evaluate and enhance the technology implemented, service levels, the effectiveness of the entire management of services. Service Review - This is to review infrastructure services and business services consistently. Process Evaluation - This helps to examine the process regularly. CSI Initiatives - This is to decide on particular initiatives that would help to improve the processes and services corresponding to the reviews and evaluations. Monitoring of CSI Initiatives - This is to check if the CSI initiatives are working as per the plan and to implement remedial measures if required.